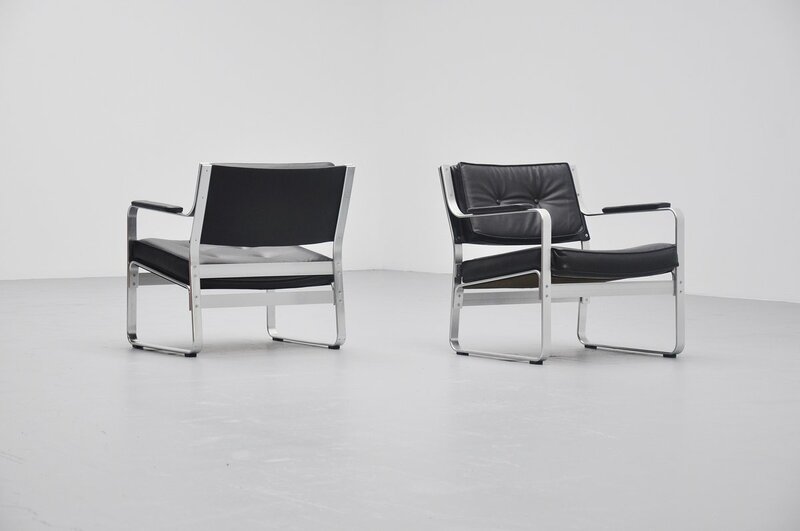 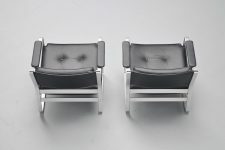 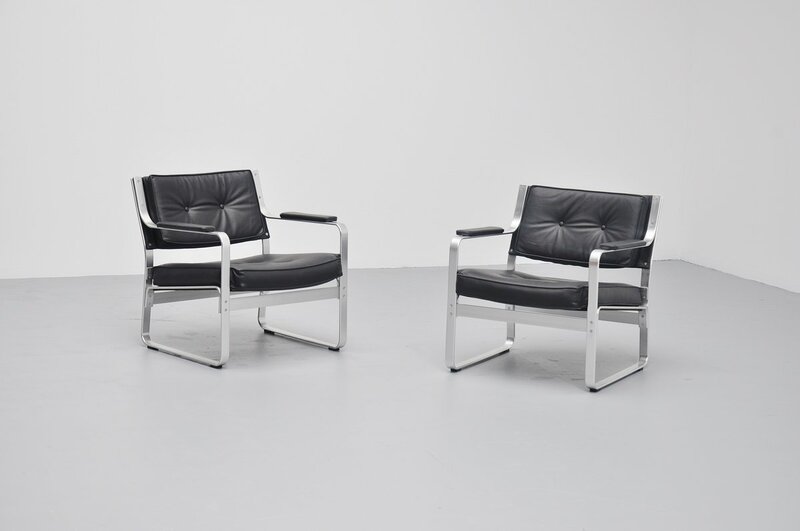 Nice and comfortable pair of lounge chairs designed by Karl Erik Ekselius for J.O.Carlsson, Sweden 1965. 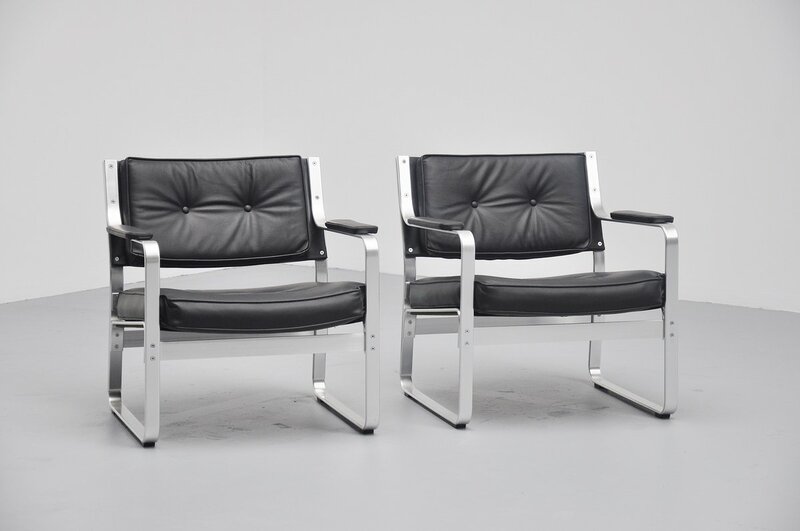 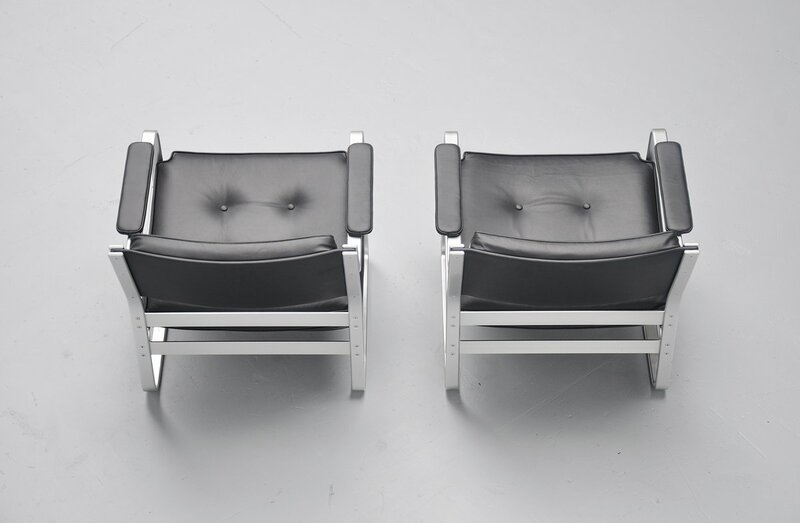 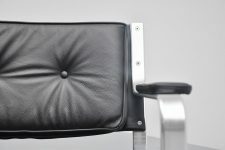 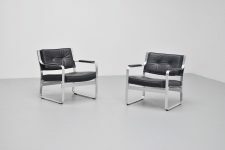 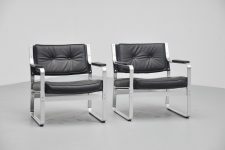 These chairs are made of brushed aluminum and have newly upholstered black leather seats, this was upholstered with premium quality Hulshoff leather. 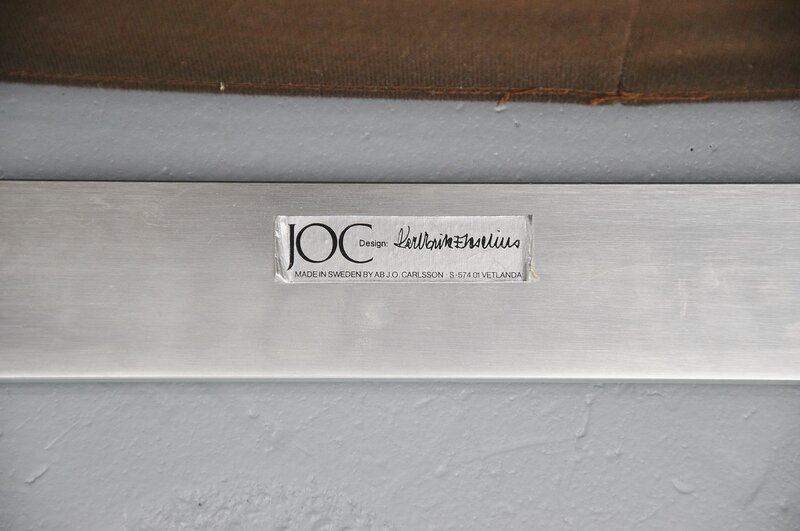 Marked with stickers accordingly.